Return to Home > Pro-Gezondheid>QUEEN FIT Set Free Lady 20 tabs. 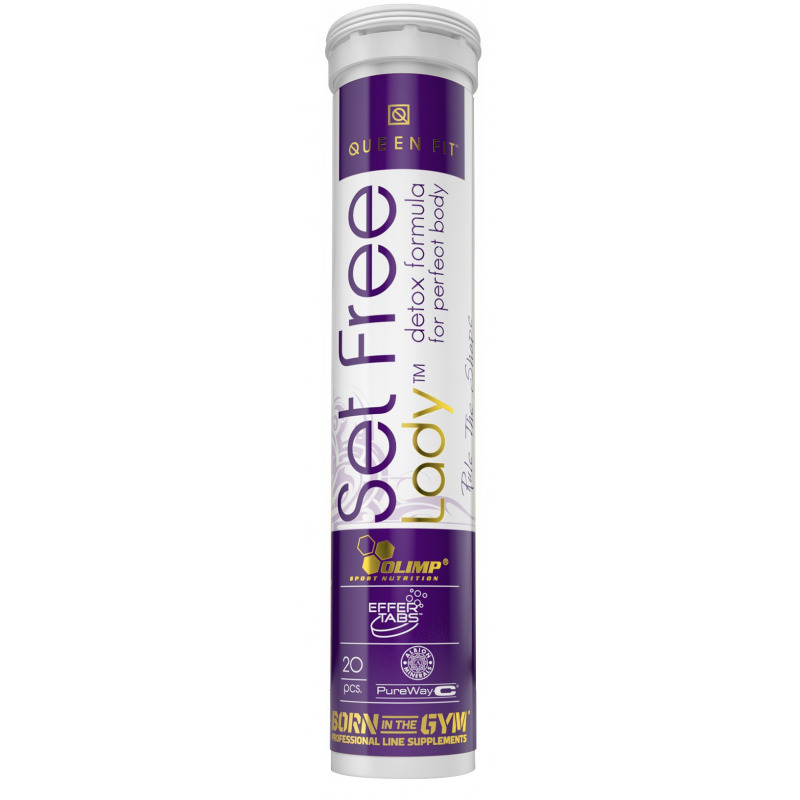 QUEEN FIT Set Free Lady 20 tabs. Detox Formule van Queen Fit. Neem 1 bruistablet per dag. Vit. E 3 mg (25%*), Vit. C (PureWay-C®) 20 mg (25%*), Calcium 120 mg (15%*), Magnesium 56,2 mg (15%*), Zinc 1,5 mg (15%*), Potassium 390 mg (19,5%*), Large Cranberry fruit extract 50 mg, of which: proanthocyanidins 5 mg; Nettle extract 40 mg, Field horsetail extract 30 mg, of which: Silicon compounds 2,1 mg; Glucuronolactone 20 mg *NRVs - nutrient reference values Available size: 20 Effervescent tabs.